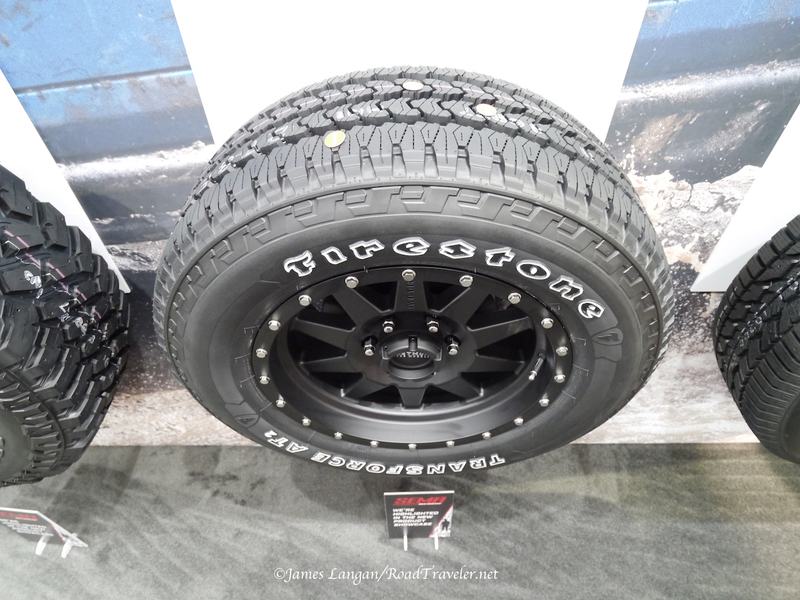 Firestone took a couple big steps forward this year by redesigning two of their light-truck tires that may appeal to the TDR audience: the Destination M/T2 and the Transforce AT2. The previous Destination M/T was a whopping 12-years old and needed an update; even Firestone admits it was very long-in-the-tooth. The new Destination M/T2 retains some family heritage, but the tread, particularly the two center ribs, are noticeably different and more attractive. Every tread block has one long sipe, where the older design had none. The shoulder lugs are a new shape and more pleasing to the eye. Twenty-nine sizes are offered for wheels from 15” to 22”, including many of the most popular 16” to 18” sizes likely to be popular with TDR readers. The Transforce AT2 targets the other end of the spectrum. It’s a relatively low-void, 4-rib, all-terrain or commercial tire for those that prefer a closed outer rib, which can reduce noise and prevent wear. Many Ram owners are familiar with Firestone’s Transforce line as the OE tire for most late-model trucks, the Transforce HT or the AT. The Transforce AT is the all-terrain upgrade tread that came on my 2017 Tradesman as part of the (AD2) Snow Chief Group. The new AT2 looks very similar to the tire it replaces, but the outer ribs are a bit beefier, and there is some thin (compared to the M/T) shoulder rubber that was not present on the older design. There are 16 sizes, and I bet we will be seeing the updated AT2 on new heavy-duty Rams with the all-terrain tire option.